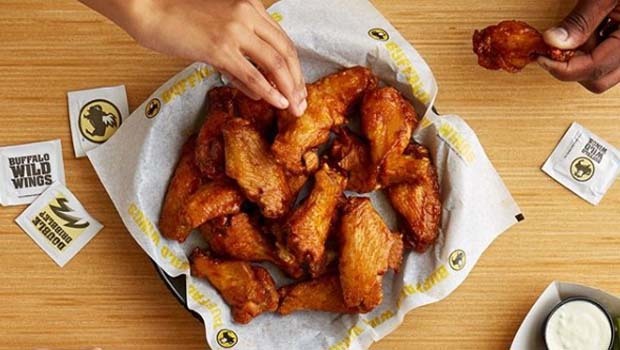 Buffalo Wild Wings Gift Certificate Contest – Enter to win a $50 gift certificate to Metro Detroit Buffalo Wild Wings restaurants! I LOVE going to BWW to play Buzztime trivia with my husband and watch the games for “date night” and I also LOVE taking my sports fans kids to enjoy a game and some family night boneless wings. Here’s your chance to win $50 for date night, GNO with gal pals watching the Wings, or taking the family out… spend it any way you want :) courtesy of Oakland County Moms & Metro Detroit Buffalo Wild Wings. e-mail me at lisa@oaklandcountymoms.com. Put BUFFALO WILD WINGS BASEBALL in the subject line and don’t forget to include ALL of your contact info (name/e-mail/phone #). Please let me know if you’ve completed steps 1-3. I’ll accept entries until Sunday, April 14, 2019 and random draw/notify/announce a winner on Monday, April 15, 2019. The winner will receive a $50 gift certificate (actually it’ll be 2, $25 ones) for use at any of the 15 Metro Detroit Buffalo Wild Wings locations listed below. (SEE BELOW FOR EXACT LOCATIONS. These gift certificates have an expiration date of September 30, 2019. See our CONTESTS TAB for more great Oakland County Moms contests going on RIGHT NOW!